Free beer is what we all dream of, and by brewing your own that dream comes several steps closer. Yet many think that home brewing is complicated and messy – but this book shows you that neither need be the case. With step-by-step instructions and supporting artworks, expert brewers Jordan St. Jean and Mark Murphy, aided by consultants Jon Downing and Graham Lees, take readers through every stage of the the brewing process – starting with which hop (or hops) to use, and concluding with instructions for bottling your finished project. Along the way, you get to brew to your own taste, strength and colour desires, and you can explore and create to an almost infinite level. The process will be fun, and it can save you money! 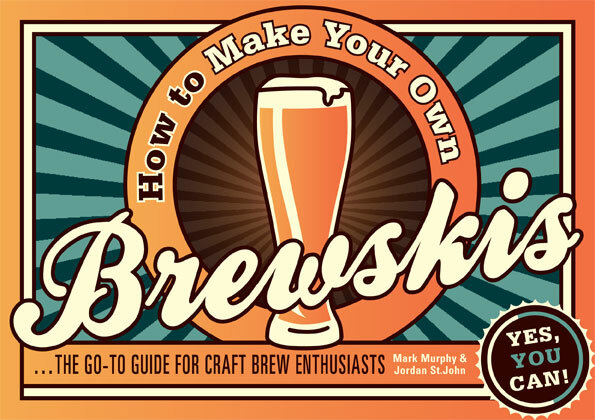 How To Make Your Own Brewskis is the perfect guide for novices, but the book also offers support and inspiration for home brewers who want to try a new style.